Welcome to Day #8 of Chocolate Chip Week. 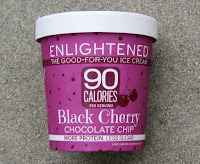 Today's Enlightened Black Cherry Chocolate Chip ice cream, from Beyond Better Foods, LLC (Bronx, NY), was part of a line of low-fat ice cream pints and bars containing less sugar and more protein and fiber. 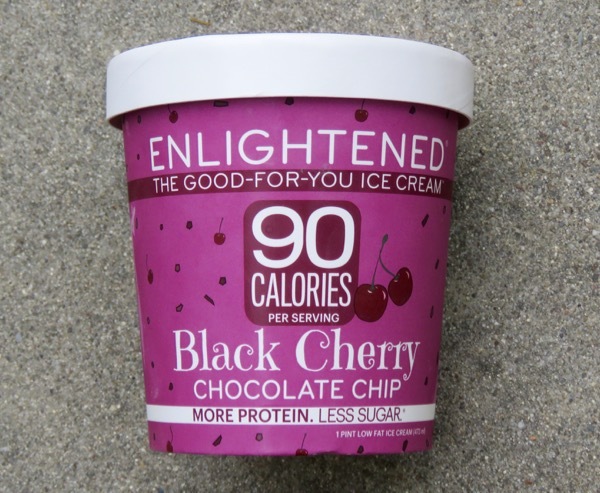 Today's pint clocked in at only 360 calories (90 calories per 1/2 cup serving). The texture, taste and finish of this ice cream was quite good. *That's a plus. 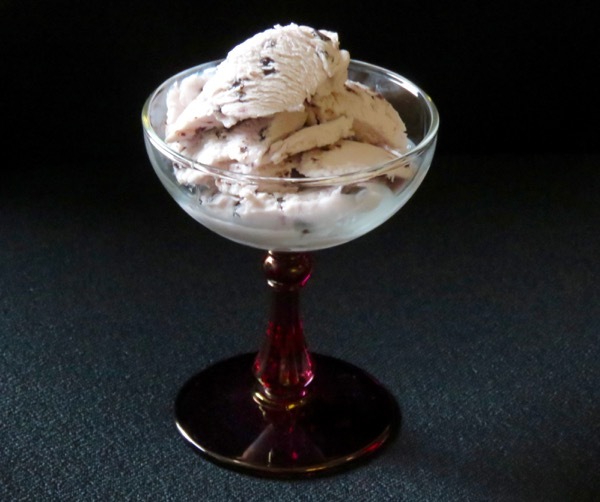 It would be interesting to taste ice cream without any sweeteners. This ice cream was sweetened with erythritol and a wee bit of cane sugar.